On June 26, 1998, Vicki Robinson ran errands with her daughter, Valessa Robinson, her daughter’s boyfriend, Adam Davis, and a mutual friend of her daughter and Davis, Jon Whispel. After dinner that evening, Davis and Whispel left the Robinson home and went to a Denny’s restaurant. Later that evening, Valessa Robinson sneaked out of her home and joined Davis and Whispel at the restaurant. The trio left the restaurant in search of drugs, bought and took LSD, and returned to the restaurant. While at the restaurant, Valessa Robinson stated that the three should kill her mother. Whispel thought Valessa was joking, but Davis and Valessa began to plan how to carry out the murder, agreeing on a lethal heroin overdose of Valessa’s mother. The three went back to Ms. Robinson’s house, took her van without her knowledge, and attempted to buy heroin and a syringe. Unable to purchase heroin, Davis purchased a syringe. Davis suggested that they kill Ms. Robinson by filling the syringe with bleach and an air bubble. In the kitchen, Davis put Ms. Robinson into a “sleeper” hold, trying to render her unconscious. Davis injected Ms. Robinson with the syringe, but after a few minutes, the bleach did not kill Ms. Robinson, so Davis stabbed her with a knife. Shortly thereafter, the three heard moaning from the kitchen, so Davis grabbed the knife and left the room. Davis later told Whispel that he stabbed Ms. Robinson two more times and tried to break her neck. A few hours later, the three cleaned the kitchen with bleach and towels. Davis put Ms. Robinson’s body into a trash can, and loaded the trash can, along with shovels and a hoe into Ms. Robinson’s van and drove to a wooded area to bury her. The digging was unsuccessful, so they concealed the trash can with foliage, planning to come back later. The three later returned to Ms. Robinson’s house and obtained her credit cards, cash, and ATM card since Valessa knew Ms. Robinson’s personal identification number. The three spent the next few days in Ybor City, using Ms. Robinson’s money to get tattoos and stay at motels. They also purchased twenty bags of concrete, a bucket, and a trash can, with the intention of dumping the body in a canal. While Davis, Valessa, and Whispel were in Ybor City, Florida, Ms. Robinson’s boyfriend, Jim Englert, reported her missing. Davis learned from a friend that both Davis and Valessa were on the news, so the three decided to leave town and flee to Phoenix, Arizona. They never returned to complete their plans to dispose of Ms. Robinson’s body. Ms. Robinson’s credit union tracked the use of her credit card, and Davis, Valessa, and Whispel were apprehended in Pecos County, Texas, after a high-speed chase. Davis was sentenced to death in Hillsborough County on December 17, 1999. Valessa Robinson was tried and convicted on charges of third-degree murder and grand theft auto. On May 30, 2000, she was sentenced to fifteen and five years, respectively. Jon Whispel pled guilty to charges of second-degree murder, third-degree grand theft, and grand theft auto. On June 29, 1999, he was sentenced to twenty-five years for the crimes. TALLAHASSEE, Fla. (AP) -- The state Supreme Court is rejecting an appeal by convicted murderer Adam Davis, who helped his teenage girlfriend murder her mother. The Supreme Court unanimously rejected Davis' appeal on claims that his legal representation was ineffective, a confession was improperly admitted and that there was false testimony at his trial. Davis was convicted along with Valessa Robinson of the murder of Valessa's mother, Vicki Robinson, in 1998. The Tampa woman was choked, injected with bleach and stabbed. Davis was 19 at the time. Valessa Robinson was 15. Davis is on death row for the murder. Valessa Robinson was sentenced to 20 years in prison. A third defendant, Jon Whispel, was sentenced to 25 years. After the murder, the three friends stole Vicki Robinson's car and credit cards and set off on a cross-country escape before being caught in Texas. The Direct Appeal was pending from 02/14/00 – 09/11/03. Davis filed a Direct Appeal with the Florida Supreme Court on 02/14/00, citing issues such as evidence admitted at trial, finding of aggravating circumstances, and the constitutionality of the death penalty. On 09/11/03, the convictions and sentence were affirmed. Davis filed a 3.851 Motion with the Circuit Court on 02/01/05. On 02/10/06 and 04/20/06, Evidentiary Hearings were held. On 06/21/06, the CC denied the motion. Davis filed a 3.851 Motion Appeal with the Florida Supreme Court on 07/18/06, which was denied on 06/05/08. Davis filed a Petition for Writ of Habeas Corpus with the United States District Court on 09/17/08, which was denied on 10/15/09. Davis filed a Habeas Appeal with the United States Court of Appeals on 04/09/10. This appeal was denied on 09/16/10. In today's United States Supreme Court orders, Davis' petition for a writ of certiorari and motion for leave to proceed in forma pauperis was DENIED. TAMPA — Valessa Robinson, once a curly-haired teenager infamous for the role she played in the murder of her mother, is scheduled to be freed early from prison Friday. Robinson is 30 now with cropped hair and hollow cheekbones, almost unrecognizable from the 15-year-old face behind one of Tampa's most chilling crimes. Florida Department of Corrections spokeswoman Jessica Cary confirmed Robinson's release date, which is more than a year earlier than originally expected. Friday's release is subject to change pending several factors including gain time or review, Cary said in an email message. "But as of this time, that is the date," she wrote Monday. Robinson is serving her sentence at Homestead Correctional Institution in Miami-Dade County. In 2000, a Hillsborough County judge sentenced Robinson to 20 years in prison for third-degree murder in the death of her mother, Vicki Robinson, plus grand theft of a motor vehicle. Vicki Robinson, a 49-year-old real estate agent, was murdered in her Carrollwood home on June 27, 1998. Valessa Robinson, her boyfriend, Adam Davis and another friend, Jon Whispel, teamed up to kill her. Under the law, Robinson had to serve 85 percent of her sentence, two years of which she served awaiting trial. She was not expected to get out of prison until 2015. Earlier this year, her release had been moved up to February. Release dates can change based on several factors. Robinson has been disciplined in prison over the years, but was also taking classes. Davis is on death row. Whispel was sentenced to 25 years and is currently scheduled to be released in 2020. Back in 1998, Vicki Robinson had struggled to get control of her 15-year-old daughter, who was acting out and dating Davis, a 19-year-old with a criminal past. The night of the murder, the teens went to a Denny's restaurant and hatched the plan to kill Vicki Robinson. According to state records, the three went back to the house, took out Vicki Robinson's van, and tried to buy heroin and a syringe. Davis bought a syringe, and back at the house put Vicki Robinson in a sleeper hold and injected her with bleach. When that didn't kill her, he stabbed her multiple times. Six days after Vicki Robinson disappeared from her home, the three youths were arrested in a high-speed chase in Texas. Vicki Robinson's body was found in a garbage can in the woods near her home. Just before the murder, she had planned to send her troubled daughter to a Christian residential program called Steppin' Stone Farm. OCEAN SPRINGS, Mississippi -- Valessa Robinson, convicted when she was 15 of the murder of her mother in their Florida home in 1998, was released from prison in early December and intends to reside in the St. Martin community just north of Ocean Springs. According to the Florida Department of Corrections, Robinson, now 30, has registered an address in the Windsor Porte subdivision in St. Martin as her place of residence. The subdivision is just north of the Ft. Bayou Bridge. Because Robinson served her entire term, she is not under any kind of post-release supervision -- probation, parole, etc. -- according to Grace Simmons-Fisher, Communications Director for the Mississippi Department of Corrections. Fisher said she had contacted the Florida Department of Corrections to confirm Robinson's status. In addition, Ocean Springs Police Capt. Chuck Jackson said Robinson would not be required to notify local law enforcement of her residence here if she is not under post-release supervision. It is unknown if Robinson is or will live at the registered address alone or with family members. Robinson's aunt had lived there until her death in October and Florida media reports indicate her father picked her up upon her release. A Mississippi Press reporter knocked on the door of the Windsor Porte home Robinson registered with the FDOC, but no one answered. Robinson was arrested in 1998 for the killing of her mother, Vicki, a Tampa real estate agent, in their home in Carrollwood -- a Tampa suburb. According to the Tampa Tribune, on June 27, 1998, Vicki Robinson, 49, was attacked in her kitchen by her daughter, then 15, Valessa's 19-year-old boyfriend, Adam "Rattlesnake" Davis, and Davis' friend, Jon Whispel, also 19. The night of the murder, Valessa Robinson held her mother down while Davis stabbed at Vicki Robinson's throat with a syringe filled with bleach. Ultimately, Davis fatally stabbed Vicki Robinson with a knife. The body was dumped in a trash can roughly six miles from the home and the trio headed to Ybor City, where the three got tattoos and purchased drugs. The left Tampa and headed for Arizona with an ultimate goal of making their way to Canada. A few days later, however, the three were captured in Texas following a high-speed chase. After a trial which captivated the Tampa community over the course of two years, Robinson was convicted in a Hillsborough court and sentenced to 20 years in prison for both third-degree murder and the theft of her mother's van. Robinson's case has been the subject of an episode of "American Justice" on A&E, as well as on the Biography channel. She was released Dec. 6, having been given credit for the nearly two years she served awaiting trial and for good behavior, although she did have run-ins with prison authorities between 2001-04 for sexual acts or unauthorized physical contact, possession of narcotics and making threatening statements. Visitors during her incarceration included her father, Charles Robinson, and sister, Michelle. Davis was convicted of first-degree murder, sentenced to death and is awaiting execution. Whispel was convicted of second-degree murder, sentenced to 25 years and is due to be released in 2020. 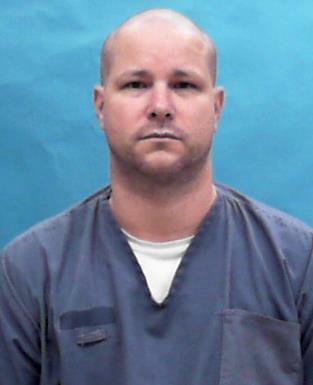 TAMPA (FOX 13) - The convicted killer in one of the Bay Area's most notorious murder cases is getting a chance to get off of death row. Adam Davis was known as "Rattlesnake" when he, his 15-year-old girlfriend, Valessa Robinson, and their friend, John Whispel hatched a plot to murder Valessa's mother, Carrollwood-based realtor Vicki Robinson. Her body was found stuffed into a trash can in 1998. Evidence presented during the trials showed Davis and Valessa tried to kill Vicki by shooting bleach into her veins with a syringe. When that didn't work, Davis cut her throat. They did it because Vicki disapproved of her teenage daughter's 19-year-old boyfriend and tried to keep the young people from seeing each other. Vicki's body was found in a trash can less than 10 miles from her home. Meanwhile, Davis, Valessa, and Whispel made a stop in Ybor City before heading to Arizona. They were reportedly going to flee to Canada, but they were caught by officers in Texas. On Wednesday, 20 years after Vicki was killed, Davis appeared in a Tampa courtroom. Davis' is the latest in a long line of cases where sentencing is being reconsidered after the Supreme Court of the United States ruled Florida's method for applying the death penalty was unconstitutional. The jury in Davis' case voted 7-5 to sentence him to death. The SCOTUS ruling said in order to hand down a death sentence, the vote should have been unanimous. Now, Davis will get a do-over. According to his attorney, Rick Terrana, Valessa was more to blame for the killing than Davis. "The evidence clearly showed it was her idea from the beginning," said Terrana. He says a new jury will hear from witnesses, victims, and Davis' loved ones before they decide whether or not Davis deserves death for his crimes. If the new jury is not unanimous, Davis will get life in prison, according to Terrana. The re-sentencing proceedings have not been scheduled. Vicki's friend, Jim Englert says he still holds all three teens responsible for her death. "[Vicki was a] wonderful, innocent, Christian mother who was loved very much," Englert said. Another friend, Gibbs Wilson says he supported the death sentence and is disappointed that it could be overturned. "It sort of reopens the wound of the loss of Vicki," Wilson said. "She had shared with me that her daughter threatened to kill her. Neither of us in our wildest dreams had imagined she would carry through with that." As for Whispel, he took a plea deal and was sentenced to 25 years in prison. He is scheduled for release in October 2019. Valessa was sentenced to 20 years in prison and was released early in 2013. She left the Bay Area and reportedly has children of her own now. Her former lawyer, DeAnn Athan scoffed at Terrana's notion that Valessa was the mastermind behind the plan. "My client was 15 years old," she said. "Not a dumb kid, but a child who was 15. That's who she was. No, she was not the mastermind." One of the Bay Area�s most notorious murderers is getting a 2nd chance to get off death row. Adam "Rattlesnake" Davis was convicted of killing his girlfriend�s mother almost 20 years ago. He was given the death penalty, but after a U.S. Supreme Court ruling on Florida�s death sentencing rules, Davis is one of many inmates asking for a 2nd chance at life. His resentencing is months away but during a status hearing Thursday, there was a setback that could further delay the process. Davis was convicted in the 1998 plot he and his girlfriend, Valessa hatched to kill her mother, Vicki Robinson, by shooting bleach in her veins with a syringe. When that didn�t work, Davis slashed her throat. Vicki's body was found stuffed in a trashcan. Valessa was convicted of 3rd-degree murder and spent 13 years in jail. She was released in 2013. After the 1999 trial, the jury sent Davis to death row, but their decision was not unanimous. That's the part of Florida's death penalty procedure the Supreme Court said was unconstitutional. Davis will be resentenced due to that ruling, but in court Thursday his attorney, Rick Terrana told the judge he needs an extension. Terrana said he was handed boxes of old evidence from the attorney who handled Davis' appeal. "I went to pick them up. There were 17 boxes of transcripts, all kinds of court testimony," said Terrana. The judge agreed Terrana should have more time to prepare for the resentencing and scheduled a new status hearing for April 25. Forced to eat broccoli as a boy? Death row inmate brainstorms his arguments for a new sentence. TAMPA � One day last summer, Adam Davis, a middle-aged man with brawny, tattooed arms and bearded cheeks, slid into view on a Hillsborough County jailhouse video screen. Now 40, Davis is hardened from two decades on death row. But he returns to the days of his youth as he speaks via video with two female visitors, seeking help remembering his troubled childhood, his exposure to drugs, in hopes early bad experiences might reduce his sentence to life in prison. �Anything I went through as a kid,� he pleads. Davis and his then-girlfriend, Valessa Robinson, once saturated the news in the Tampa Bay area. The teenage couple were convicted � along with a third teen, Jon Whispel � in the vicious 1998 stabbing death of Robinson's mother. Robinson served 13 years in prison. Whispel, who testified against the other two, gets released later this year. Davis received the death penalty. But his sentence was overturned recently because the jury was split 7-5. The law now requires a unanimous verdict for death. The Hillsborough State Attorney's Office recently made public a recording of the video discussion Davis had as he sat in a high-security bay at the Hillsborough County jail, where he was housed last July while awaiting a court hearing. The recording is among materials prosecutors will use as they seek a new death sentence. The two women, one older and one younger, are not identified but appear to be close relatives of Davis. In 35 minutes of chat with them, he delves into a misspent youth in search of mitigating factors. "I want to bring up everything that happened in the past,� he says. �It�s gonna bring up dirt. And I wanted to warn you.� �What do you mean?� the older woman asks. He mentions a time when he fell asleep and the older woman grabbed him by the hair and spanked him for it. �Yeah,� Davis answers with a laugh. �I don�t remember that at all,� she says. He gives another example of what he says was a traumatic childhood experience. As a kid, Davis says, he never understood punishments or why things were wrong. "We didn't talk a lot about feelings growing up," he says. But the older woman asserts that they did. She says she tried to teach him by making him listen to songs like Simple Man by Lynyrd Skynyrd. Davis says he only remembers fragments of his childhood because drugs damaged his memory. He says he "self-medicated" as a teen with methamphetamines. He tells of doing drugs with family members, and living on the streets, and getting in trouble. He tells the two women to gather anything that might help him. He mentions Boy Scout merit badges he earned and a kindergarten art project. �Things like that are gonna be helpful," he says. Toward the end of the visit, Davis reveals that he's married. Public records show Adam William Davis and Claire Louise Morgan wed in Raiford on Sept. 3, 2010. He worries that resurfacing his case might bring unwanted attention to his wife. "It's going to be rough," he says. "But it's necessary." No date has been set for Davis' re-sentencing. �I�m in no rush,� he says. �I�ve already had it overturned. So I can sit on death row for five years and I wouldn�t care because I don�t have a death sentence now. Once he's off death row, he says, he hopes to find a lawyer to appeal for a new trial. He wants his case to be presented in law schools, for professors to ask their students how they'd win.